SoundRoots World Music & Global Culture: Happy Birthday, Dear Spin The Globe! Happy Birthday, Dear Spin The Globe! This week's Spin The Globe was something of a celebration, marking the show's 9th year on the air. Some new releases and older favorites, lus an interview with members of the African-blues group Afrissippi. 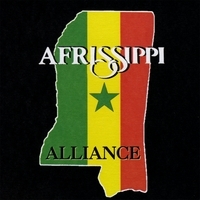 And Congrats to listener Coral, who won this week's CD giveaway for Afrissippi's Alliance.